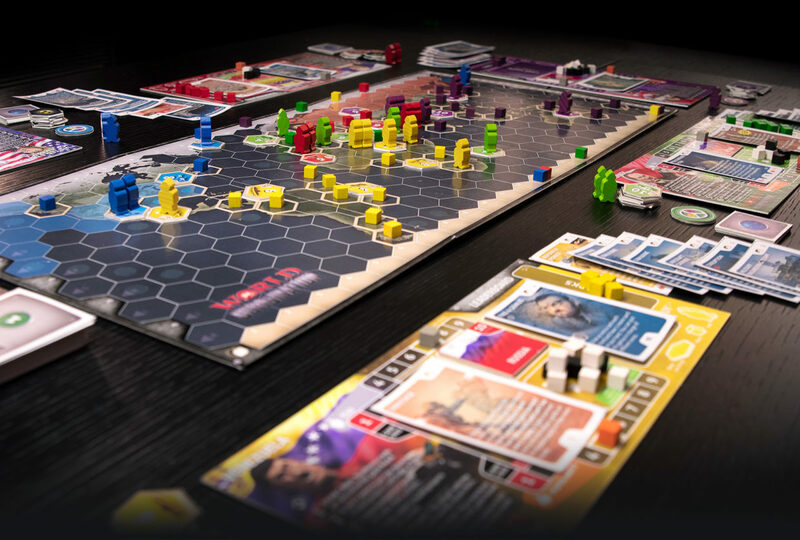 In World Dumbination you play as the five leaders left on earth after aliens has rescued the smart people to inhabit a new world in a galaxy far far away. 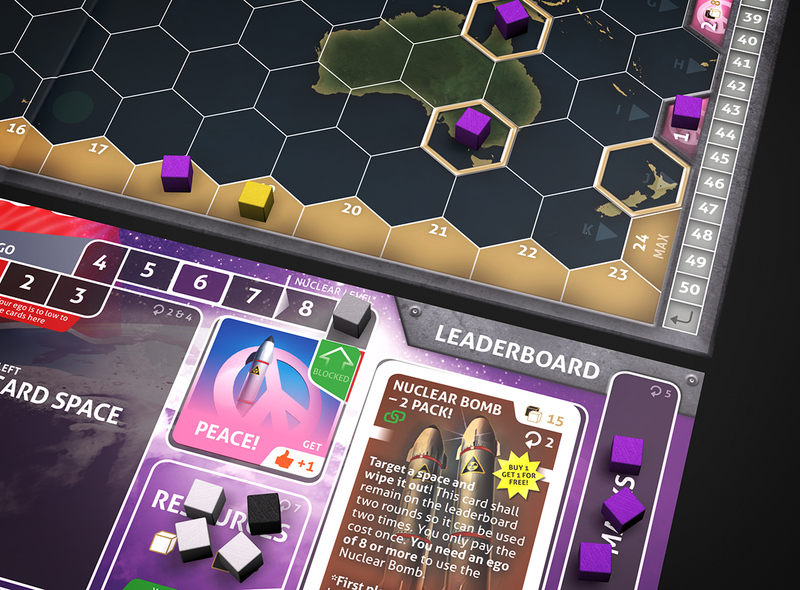 You can choose to play as the leader of USA, Venezuela, Turkey, and Russia – or, of course, North Korea! In the game you combine card actions with clever movement on the game board. player order for the rest of the round. Didn’t you get what you wanted for Christmas? 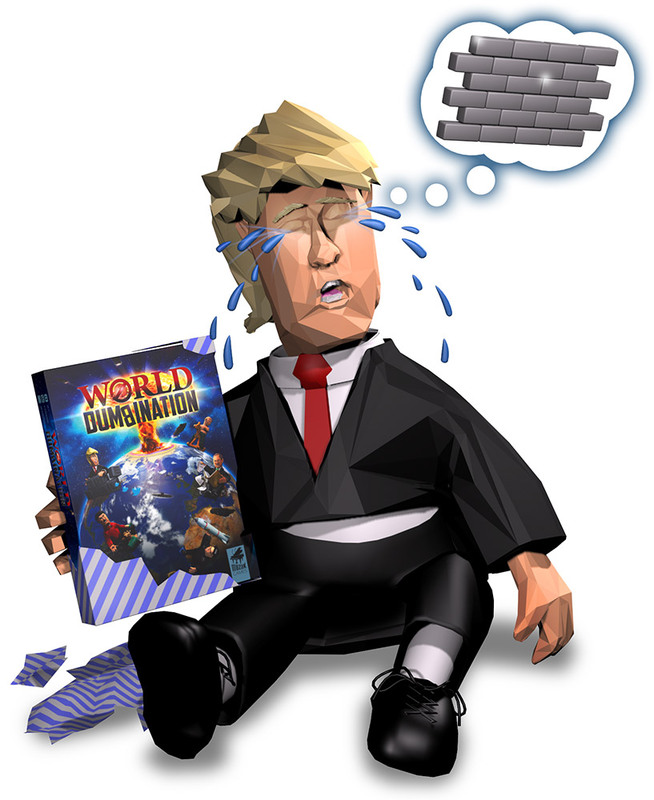 Now you have a chance to win a copy of the World Dumbination board game! Subscribe to our Newsletter on the left of this page! A winner will be drawn to receive the brand new game when we reach 500 subscribers. A winner will be drawn for each page when they reach 500 likes! 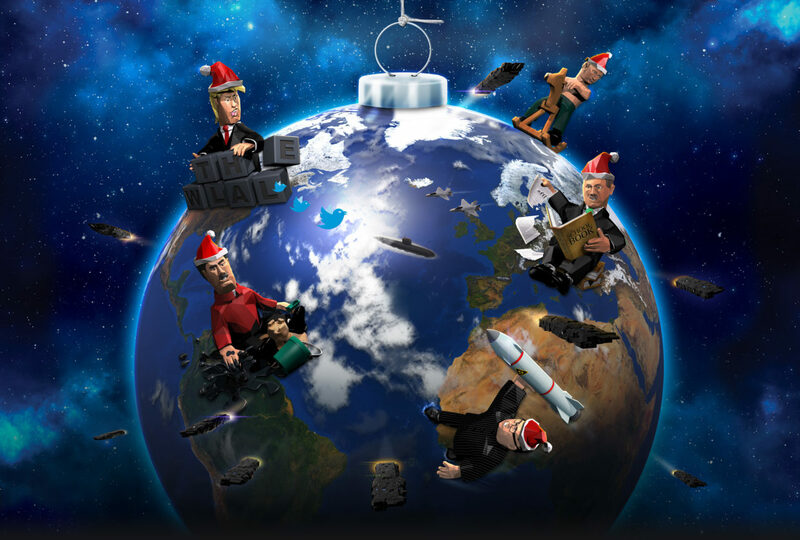 The Christmas spirit has reached the world of dumbination. 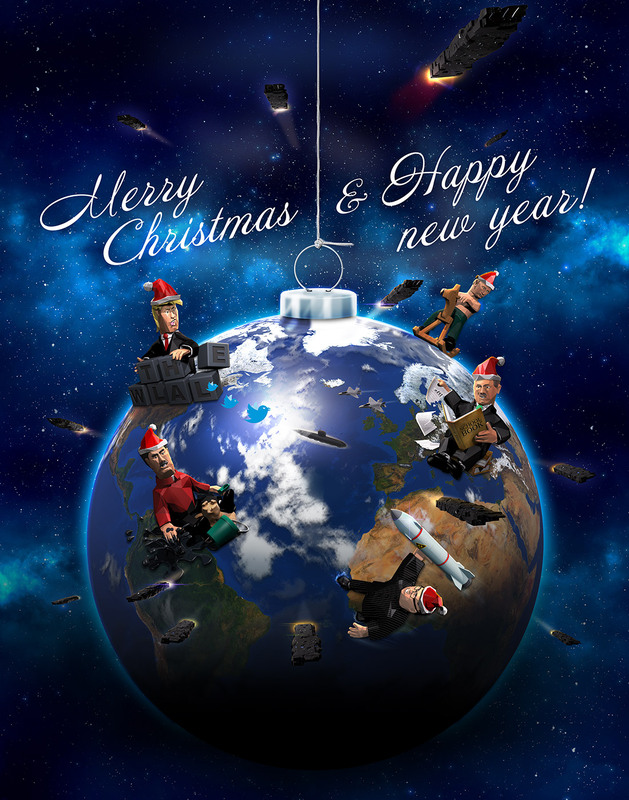 Merry Christmas and have a happy new year! 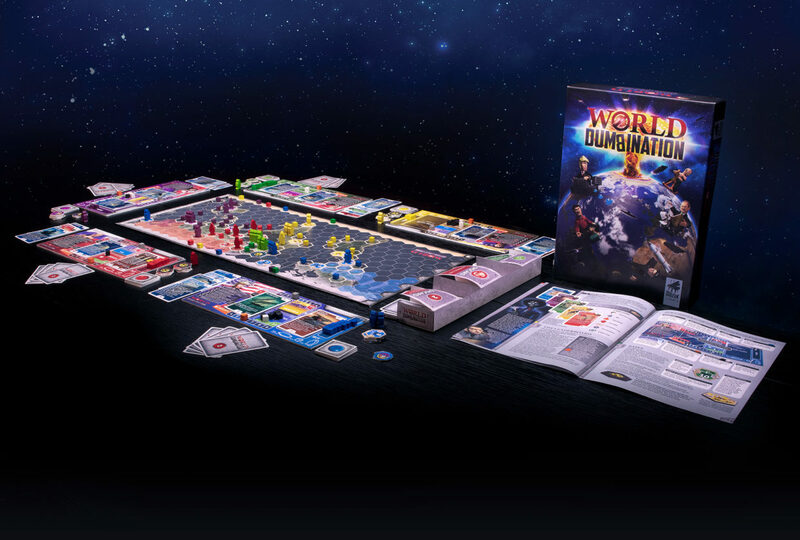 The work with the Kickstarter presentation for World Dumbination will be take up most of the time here at Muzak Games. We are aiming to launch on Kickstarter late February or early March. We will have more information on that early 2019! There are many leaders that could be in this game, but these are the lucky ones! – United States of America. Trump is the character that inspired most of the political cards in the game. He has got a giant ego, but is not too popular. Trump’s first goal is either to build an amazing wall on the Mexican border, or win the next election, maybe with some help from his friends! Maduro sits on the world’s largest oil resources, but with him as a leader Venezuela is close to bankruptcy. A leader who suggest that his people should breed rabbits so they don’t starve, just have to take part in this game! Maduro’s first goal in is merely to remain in power, or make his crypto oil currency work. President Recep Tayyip Erdoğan – Turkey. When Erdoğan tore the theory of evolution from school books in Turkey, he easily qualified to be one of the characters in this game. His first goal is to become a successful dictator, or “join” the European Union! Putin sits on his rocking horse, not completely happy with the circumstances. 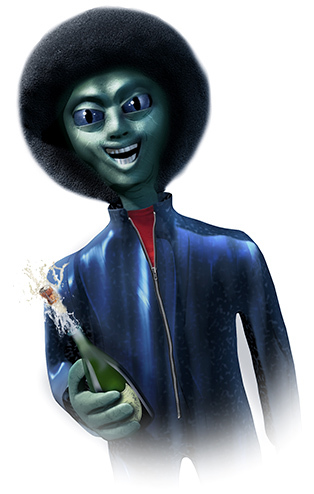 His first goal is to be back in the U.S.S.R, or have the strongest Cyber attack group! Supreme Leader Kim Jong-un – North Korea. The leader of North Korea has quite the split personality. 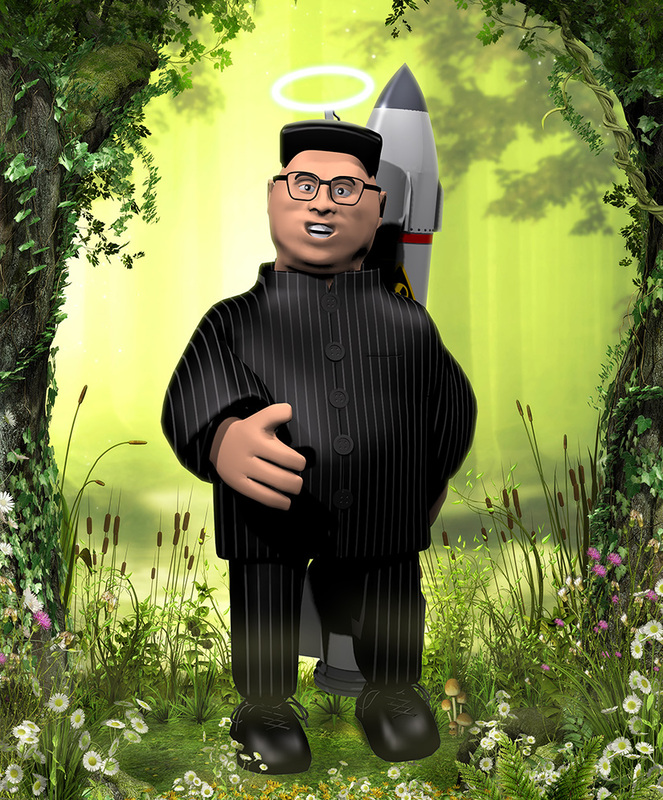 His first goal is either to make North Korea a fearsome Nuclear Power, or to be the most peaceful leader! DESIGNERS BLOG – 1 YEAR UPDATE! The work with the game is now back on track after a summer with too much other things to do. The latest prototype works well, and some new things have been added. Again inspired by latest events, it is now even possible to start a Nuclear Disarmament in the game, and it is possible to win the game by doing it! So keep watching for more news soon! Using the Peace token together with the Nuclear Bomb card disarms your bomb, this will get you Victory points at the end of the game!